The Capital Region occupies a strategic location within the Northeastern United States. The region sits at the nexus of 2 Interstates (I-87 and I-90), several major highways and rail routes, and along the Hudson River. This location has made the region a transportation crossroads for many industries, which have produced enormous benefits to the many communities throughout the area. 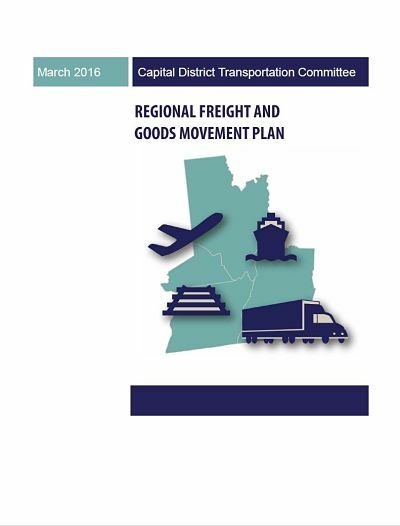 However, this position also brings the region a set of challenges associated with various aspects of freight transportation. 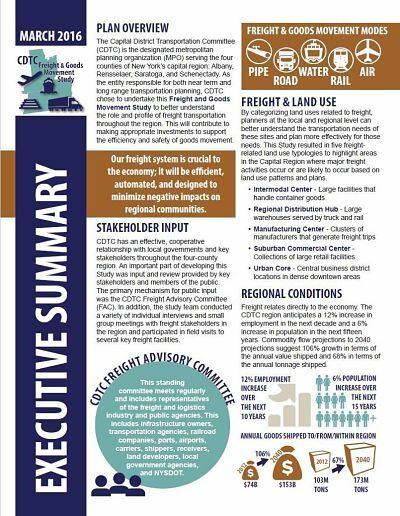 As the entity responsible for both near term and long range transportation planning, CDTC chose to undertake a new Regional Freight & Goods Movement Plan to better understand the role and profile of freight transportation throughout the region. This will contribute to making appropriate investments to support the efficiency and safety of goods movement.